Keep the essentials right where you need them. 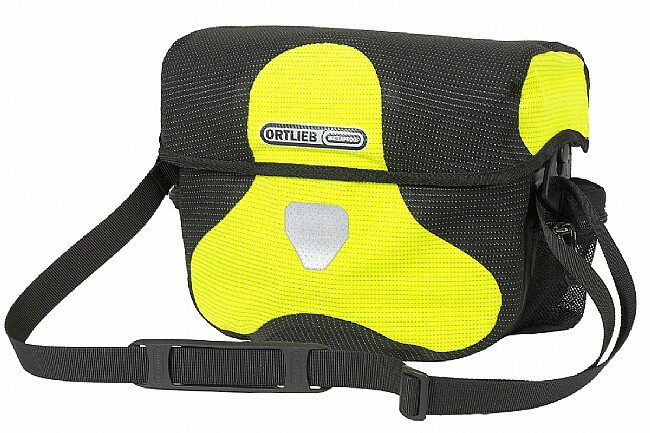 The Ortlieb Ultimate 6 High Visibility Handlebar Bag offers plenty of space for your your wallet, keys, ride snacks, jacket, camera and more while upping your visibility. 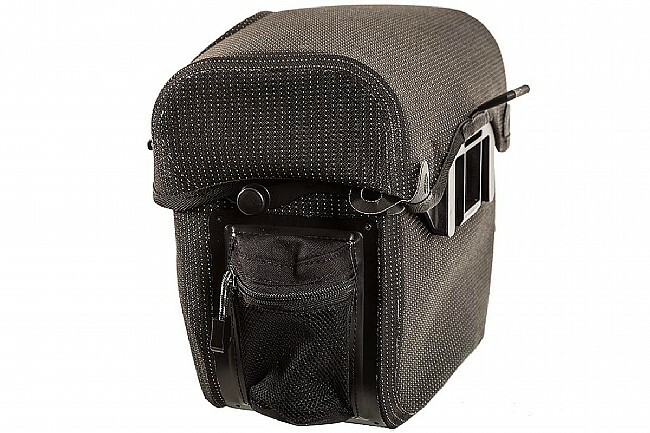 Now PVC free, this bag is made from PU laminated Cordura and is tear resistant, lightweight and completely waterproof. 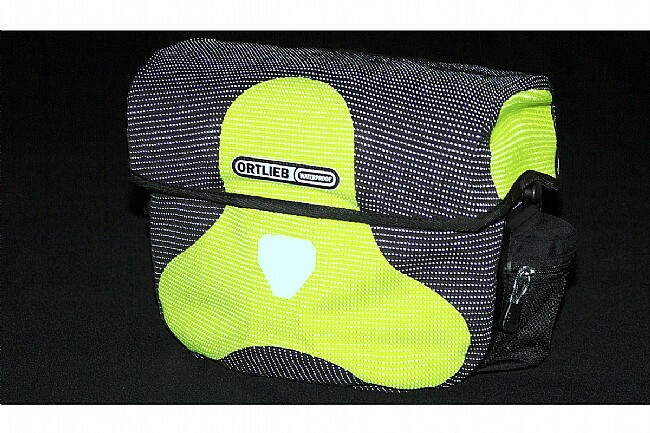 The interwoven reflective yarn takes the visibility of the Ultimate 6's bright coloration to the next level. 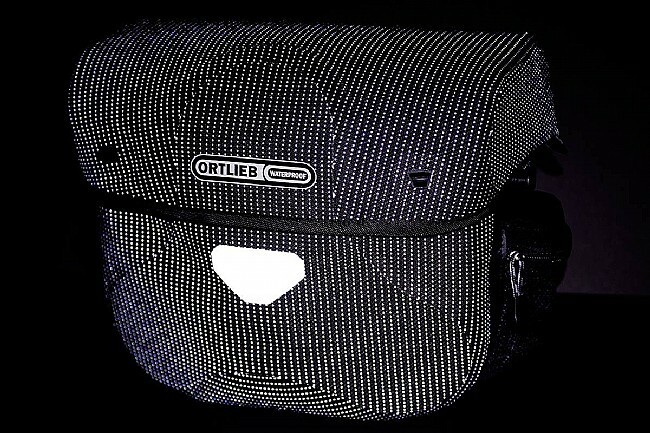 To provide convenient access from the saddle, the bag's lid opens away from the rider and seals up tight using magnetic snap closures. 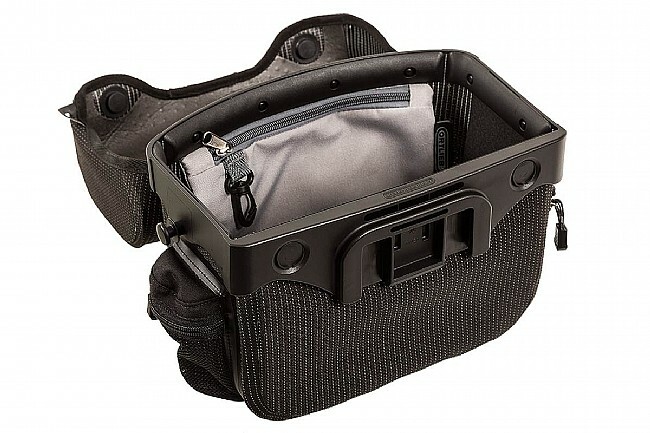 A separate internal pocket keeps small items organized. 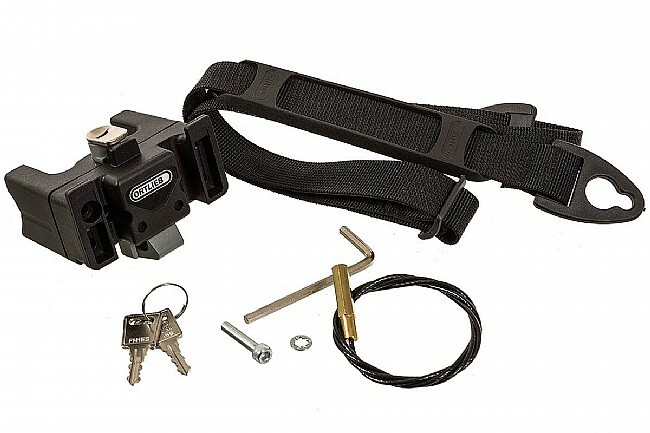 The Ultimate 6 mounts directly to most handlebars using a quick release attachment system and includes a shoulder strap for easier transportation off the bike. 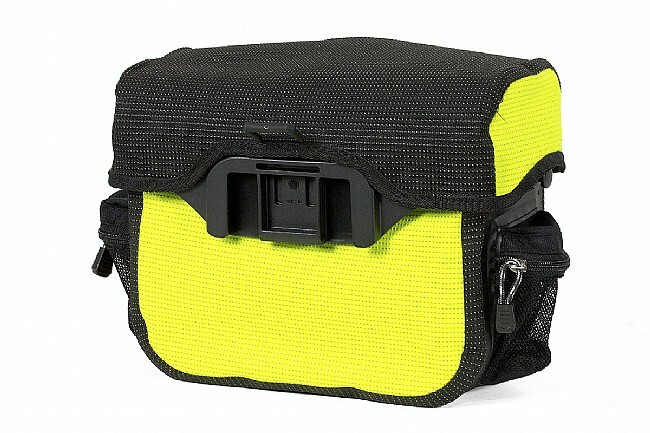 The Ultimate 6 High Visibility Handlebar Bag is available in Neon Yellow/Black and features reflective accents. 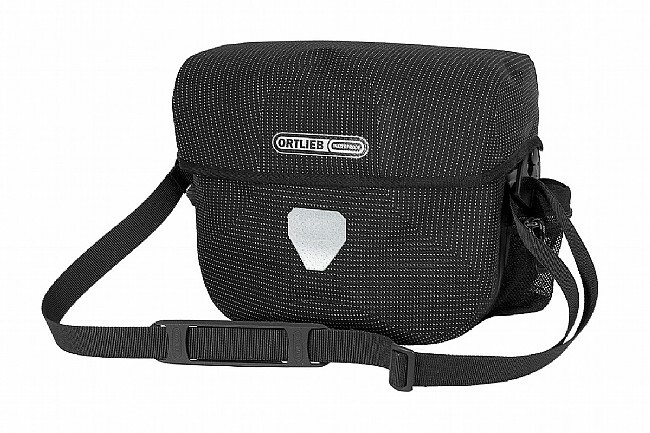 A shoulder strap and mounting hardware are included. 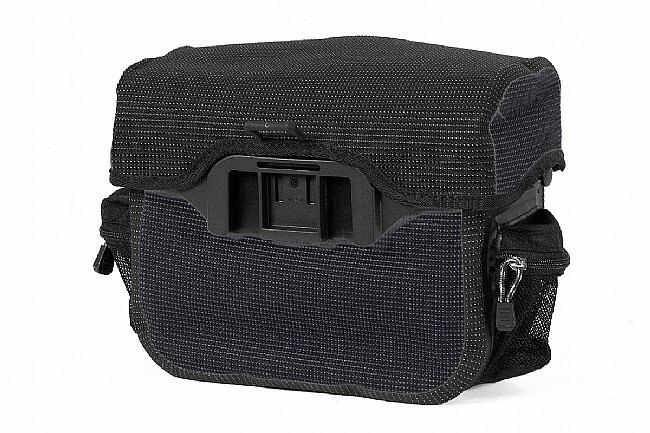 Optional accessories include a waterproof map case and a waterproof GPS cover, both of which mount to the top of the bag and are sold separately. Made in Germany. Dimensions: 21 x 23.5 x 14cm (8.3 x 9.3 x 5.5 Inches; Height x Width x Depth). Volume: 7 Liters (427 cubic inches). Claimed weight: 740g (including mounting hardware and strap).